Shopping online. Visiting the doctor. Buying gas. 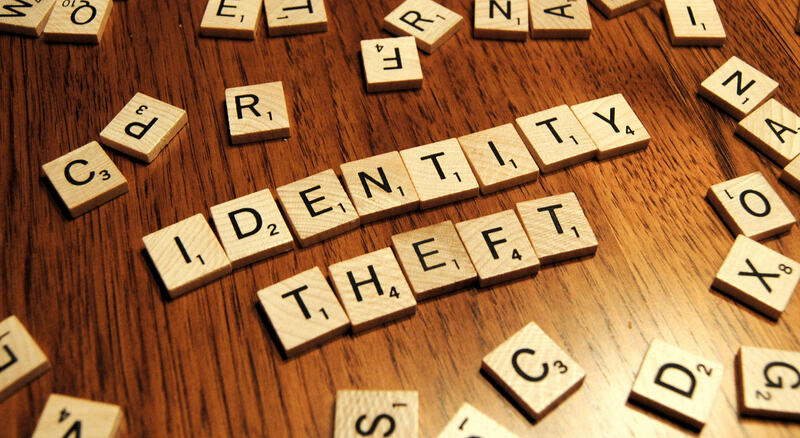 In nearly all of the things we do from day to day, there’s the risk of identity theft. You could unknowingly give your information to a fraudster thinking you’re shopping at a legitimate site. Your doctor’s office could experience a data breach. Or, you could come across a tampered credit card reader at the gas pump. The risks your identity faces go on and on. So, what can you do to stop it? Unfortunately, virtually no one today can completely negate the risk of identity theft. But, we can all take some important steps to help prevent it. Limit what you carry in your wallet, and know what’s there in case it goes missing. First things first, don’t carry your Social Security card on a regular basis. Instead, keep it in a locked safe at home. Have a form of identification or some other card with your Social Security number (SSN) on it? Carry a photocopy of it instead of the real thing, and cut out or otherwise render your SSN unreadable. As for credit cards, only carry the ones you need. Finally, make photocopies of the front and back of the cards you always keep in your wallet and store them in your home safe. If one (or all of them) goes missing, you won’t have to search high and low for the card issuer’s contact information. Keep your computers, software and other electronics secure and up to date. This means using strong passwords or enabling passcodes – remember not to write them down. It also means installing firewall, spyware and virus protection. Keep everything up to date (and backed up) for the latest security enhancements. For your portable devices, consider installing software to remotely wipe your data or locate the device if it’s ever lost or stolen. Don’t over share. Does every entity that asks for your (or your child’s) SSN really need it? Take a moment to think instead of automatically jotting it down. At the very least, maybe only the last four digits will do. In addition, be careful what you share online. Posting your full address, phone number, license plate number or your birth date online, even if it’s in a photo, may help others piece together a full picture of your identity. Do check your credit reports throughout the year. You’re entitled to a free credit report from each of the three bureaus once a year. And, since the information on each report is oftentimes largely the same, you can stagger your requests and receive a different report once every four months. Once you receive it, check your report for accounts and other activity you don’t recognize. Even a credit check from a company you haven’t done business with could be an attempt at identity theft. To order your free credit reports, call 1-877-322-8228 or visit http://www.annualcreditreport.com/. Keep an eye on your accounts. Your account statements can alert you to identity theft sooner than your credit report, in most cases. Check regularly for unauthorized charges or withdrawals and other illicit activity, such as address changes or additional cards you didn’t request. Watch your surroundings. Whether you’re using the ATM or a portable device, you want to be sure others nearby aren’t watching as you type in your PIN or password. And, just because you don’t see anyone nearby doesn’t mean they’re not there. If you’re using a shared or public WiFi, everyone else on the same network may see the data, including passwords or account numbers, you submit. Be sure to conduct sensitive transactions on secure networks. Reduce your mail. Start by opting out of pre-approved credit card offers by calling 1-888-5OPT-OUT and following the prompts. This should stay in effect for five years and help curb the risk of someone else obtaining a new credit card in your name. Next, sign up for paperless billing with your financial and service providers and/or schedule automatic payments through your bank. The less mail containing personal and account details that comes to your home, the less likely it is to fall into the wrong hands. Be skeptical when someone asks for your information. Scam artists don’t always have to steal your information. Sometimes they convince you to give it up willingly by telling you via a phone call, email, snail mail or text that you won a prize or need to verify your account. To claim the prize or account, you’ll, of course, need to supply some sensitive information. Requests like these are almost always inauthentic – what’s known as a “phishing” scam. So, stay on guard and contact the entity through a known, verified method to inquire about the matter, rather than providing personal details on the spot. Mind your garbage. If you’re throwing out account statements or other documents with personal information, you’re making it easy for dumpster divers to learn a little, perhaps a lot, about you. They may even learn enough to take over one of your accounts. So, shred your sensitive documents and then recycle them – don’t just throw them out in the garbage. Tidy up at home. Tax returns, credit cards you use infrequently, checkbooks, passports, birth certificates – these and other important documents should all be stored under lock and key. Whether it’s in a home safe or a locking desk or file cabinet is up to you. And, don’t leave the code or key in an easily discoverable place. Fill out the Federal Trade Commission’s Identity Theft Affidavit. Take your affidavit to the police and file a report. Be sure to get a copy for your records. It will come in handy if you need to close fraudulent accounts, straighten out your credit report and more. Call your financial providers to request new account numbers and, if needed, cards. Contact one of the three credit bureaus to place a fraud alert, which will encourage creditors to contact you before opening new lines of credit, on your credit report. The bureau you contact will share it with the other two. And, if you’re involved in a data breach and offered free credit monitoring, be sure to take advantage of it. In today’s world of hyper connectivity and speed, it’s easy for your information to end up in the wrong hands. But, by being cautious with how you use and share your information, and checking for misuse, you can help keep your identity secure. Top image by Flickr user GotCredit used under Creative Commons Attribution 2.0 Generic license. Image cropped and modified from original.